Success with multi-level marketing (MLM) programs is all about lead generation. Leads, of course, are the prospects you manage to acquire and from which you could potentially gain some recruits for your MLM account. Though its concept is simple, its implementation is not. Indeed, MLM lead generation requires a certain degree of mastery over proven marketing techniques. What are these marketing techniques, you might ask? Here are 5 tried and tested MLM lead generation tactics that are sure to reap some dividends in the form of earnings once they are executed properly. Study them well, and employ them to the best of your abilities. 1. Expanding your existing network. You already have your own group of friends and family members. Once you join an MLM program, get to know the people in their own network. This way, you'd be able to reach out to more people and expose them to your MLM campaign. MLM lead generation is all about spreading the word about the MLM program to as wide an audience as possible. 2. Advertise in local dailies. Indeed, this tactic requires a certain amount of financial investment on your part, but the benefits you'd stand to gain would be very much worth it. Imagine a publication with a wide readership. You'd even be able to gain targeted leads if you will advertise in publications catering to the products offered by the MLM program. Such products would be an easier sell, and inviting someone from that group to join the MLM program would become a simpler task. 3. Try online marketing. You don't want to spend for offline publications? There are many free avenues in the World Wide Web which could carry your MLM business message across to millions of people worldwide. 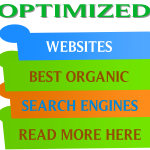 Article marketing, forum marketing, using web logs, banner exchanges, eZine advertising, and the likes are just some of the more popular methods of internet advertising. 4. Consider packaging techniques. If the MLM program's offered package doesn't seem exciting enough to arouse the interests of your prospective leads, perhaps you could devise a creative way that would make it more appealing. Add a few products or services which you could procure yourself, for example. Just make sure that your expected earnings would be more than enough to cover your expenses. It doesn't matter if your first-tier commission would be reduced. Remember that MLM will continually reward you if you manage to refer some quality recruits. 5. Procure the services of MLM lead generation companies. There are several of them out there. They'll be the ones to drive leads towards your business, and all you have to do is to pay the fees they require. The key to Multi-level marketing (MLM) is finding prospects that are interested in the opportunity. 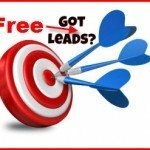 To make that happen, you must have proper methods of MLM lead generation. If you do so correctly, you will end up with better leads and a better shot at growing your MLM business faster. MLM lead generation is not a quick process. It, in fact, takes time and work. The first thing you must do is look through demographics to find the right prospects. 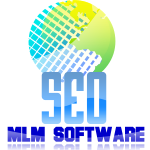 Your initial MLM lead generation list may get its start from advertising campaigns or other tools. 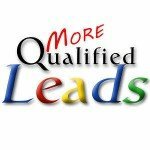 Most business owners use a variety of sources and methods to get their initial MLM lead generation list. A good MLM lead generation process will bring you prospects through the use of all the best online and offline tools available. The process should bring you leads that move fluidly from contact to sales to recruitment. The methods can be the purchasing of MLM lead lists, telemarketing, or even direct traditional mailing campaigns. One very inclusive way of MLM lead generation is lead batching, which is also known as distributor gathering. The way it works is that the business owner works the leads though advertising. It should attract customers and recruits who will then be invited to build their own networks. What the process will then do is help the owner build a network as well as the recruits under him or her. If you have spent any time at all in MLM, then you know that your success is closely linked to how many recruits you can get. 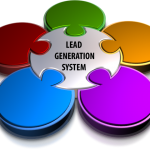 MLM lead generation, then, is a key to ensuring success with your business. The process should use a variety of generation methods and help you get true leads. You want to be contacting people that are interested in being a part of your business, and a proper lead generating process will get you just that. Any veteran marketer will tell you that it's all about the "follow-up." You may be able to generate the highest quality leads for your multi-level marketing (MLM) business, but if you don't know what to do once you manage to touch base with them, they're as good as gone. Case in point, most marketers proclaim that 87% of a business' sales would come after the 4th, 5th, 6th or 7th contact, or even way after that. This is because prospective customers need to get warmed up to your offer. Let's face it. To them, you're a total stranger, and they'd find it difficult to part with their hard-earned money because you have yet to win their trust. You have to establish a system that would allow you to follow up on your leads, and this is why an MLM mailing list is of utmost importance to your campaign. An MLM mailing list is a database of the contact details of the leads you manage to generate for your business. This can be done online or offline. An online MLM mailing list can be carried out by subscribing to an autoresponder service and maintaining a website. 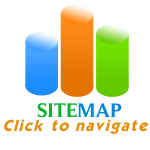 Anyone who would get to visit your website is a lead. The objective is to capture the email address of the said lead so that you may be able to contact him again with your follow-ups. This is a cost-efficient option, as all you need is a domain name, a web hosting server, and the aforementioned enrollment with an autoresponder service. 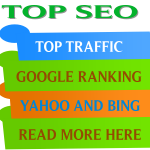 Of course, you'd need to employ some internet marketing techniques to direct a substantial volume of traffic for your website, but such wouldn't be too difficult to pull off. An offline MLM mailing list is harder to employ, and would entail more when it comes to necessary expenses. You'd be utilizing direct mailing tactics, and garnering the mailing address of your leads would be more challenging since people are rather wary about the personal details which may endanger them. There are MLM lead generation companies, however, that would do the dirty work for you, and you just have to procure their services to generate the leads you'd need to start with this strategy. Building your own mailing list would guarantee greater chances of converting your leads into actual enrollees of the MLM program. This, of course would be the heart of your earnings.